Enjoy dining at popular local restaurants and support our activities and programs! Portion of your purchase will be donated to Buchser PTA. Please meet our 2017-2018 Executive Board! 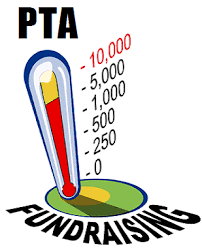 To join Buchser PTA to support activities designed to enrich the school life of our students, submit the registration form (English & En Español) form with $10 dues (make check payable to Buchser PTA). Red Ribbon Week (10/26/15-10/30/15) Drug awareness and prevention week. Our theme for this year is "Be the Change".